Anger is a cruel master. If you struggle even a little with anger, you know how it feels to get mad too easily. To lash out at someone you love. To hold onto frustration. You might even notice others seem uneasy around you. You know anger is hurting your life, but you don’t know how to fix it. Whether your anger is quiet or explosive, if it’s clouding your judgment and hurting your relationships, it needs to go. 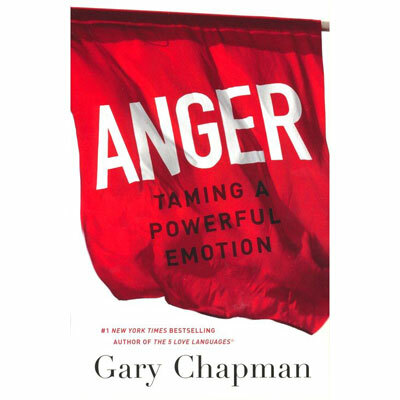 Learn to handle anger in healthy ways, starting today. Gary Chapman is wise and empathetic, and he'll help you turn over a new leaf. GARY CHAPMAN—author, speaker, counselor—has a passion for people and for helping them form lasting relationships. He is the #1 bestselling author of The 5 Love Languages series and director of Marriage and Family Life Consultants, Inc. Gary travels the world presenting seminars, and his radio programs air on more than 400 stations. For more information visit his website at 5lovelanguages.com.